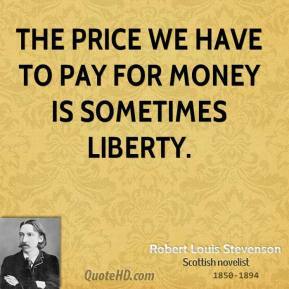 The price we have to pay for money is sometimes liberty. 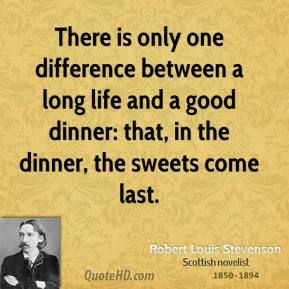 There is only one difference between a long life and a good dinner: that, in the dinner, the sweets come last. 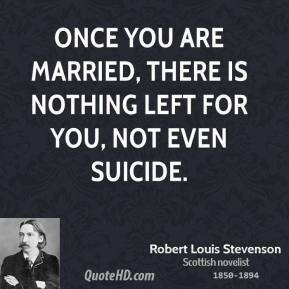 Once you are married, there is nothing left for you, not even suicide. 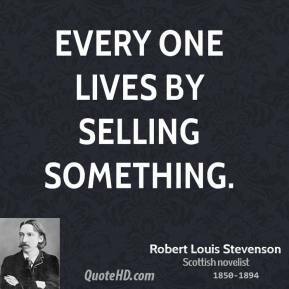 Every one lives by selling something. 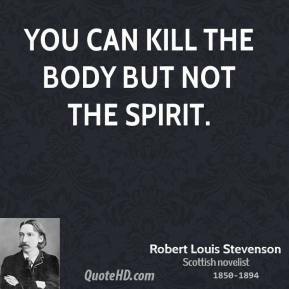 You can kill the body but not the spirit. 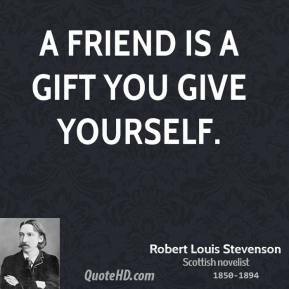 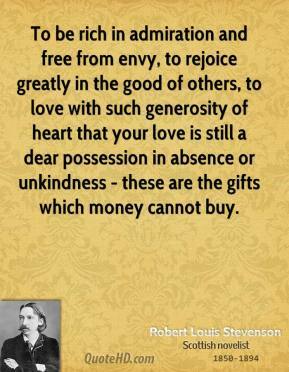 To be rich in admiration and free from envy, to rejoice greatly in the good of others, to love with such generosity of heart that your love is still a dear possession in absence or unkindness - these are the gifts which money cannot buy. 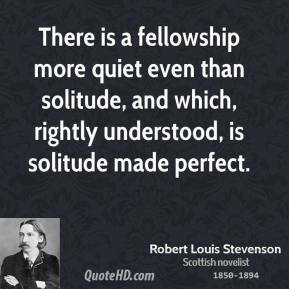 There is a fellowship more quiet even than solitude, and which, rightly understood, is solitude made perfect. 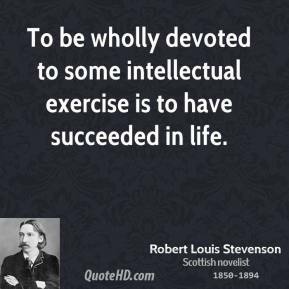 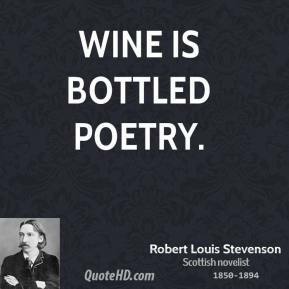 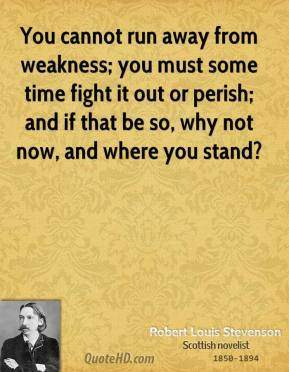 To be wholly devoted to some intellectual exercise is to have succeeded in life. 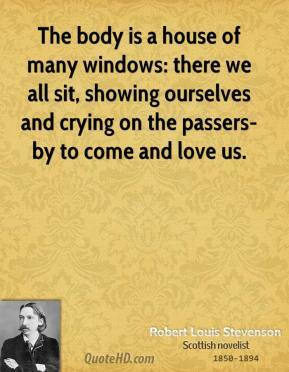 The body is a house of many windows: there we all sit, showing ourselves and crying on the passers-by to come and love us. 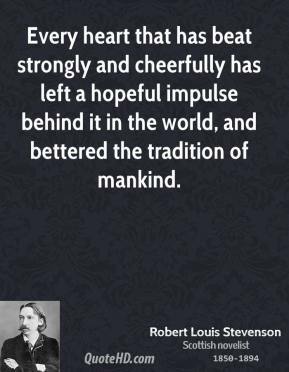 Every heart that has beat strongly and cheerfully has left a hopeful impulse behind it in the world, and bettered the tradition of mankind. 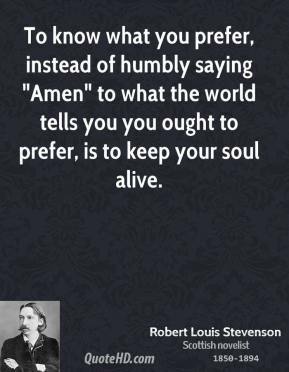 To know what you prefer, instead of humbly saying "Amen" to what the world tells you you ought to prefer, is to keep your soul alive. 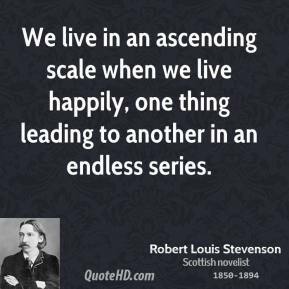 We live in an ascending scale when we live happily, one thing leading to another in an endless series. 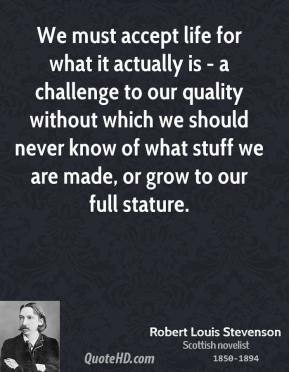 We must accept life for what it actually is - a challenge to our quality without which we should never know of what stuff we are made, or grow to our full stature. 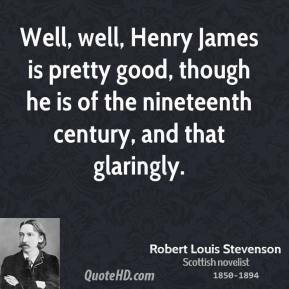 Well, well, Henry James is pretty good, though he is of the nineteenth century, and that glaringly. 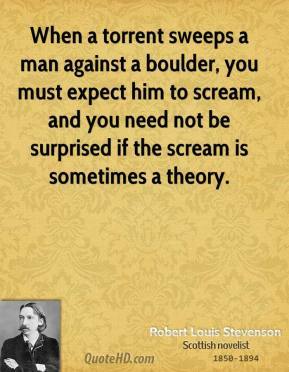 When a torrent sweeps a man against a boulder, you must expect him to scream, and you need not be surprised if the scream is sometimes a theory. 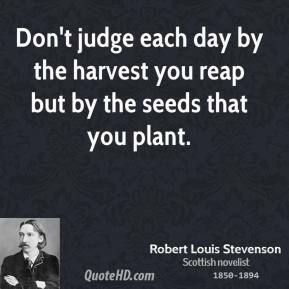 When I am grown to man's estate I shall be very proud and great. 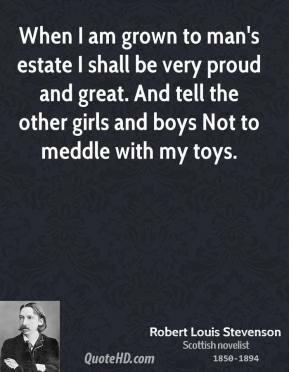 And tell the other girls and boys Not to meddle with my toys. 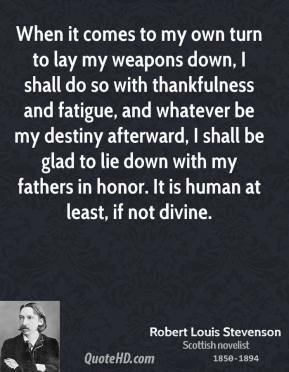 When it comes to my own turn to lay my weapons down, I shall do so with thankfulness and fatigue, and whatever be my destiny afterward, I shall be glad to lie down with my fathers in honor. 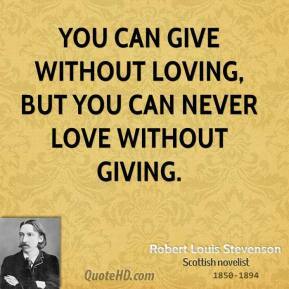 It is human at least, if not divine. 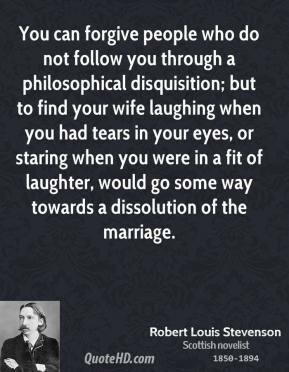 You can forgive people who do not follow you through a philosophical disquisition; but to find your wife laughing when you had tears in your eyes, or staring when you were in a fit of laughter, would go some way towards a dissolution of the marriage. 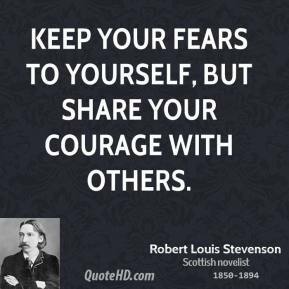 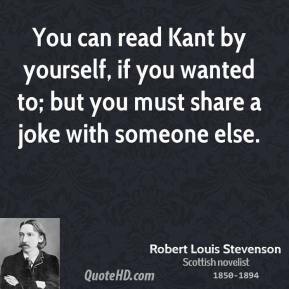 You can read Kant by yourself, if you wanted to; but you must share a joke with someone else.